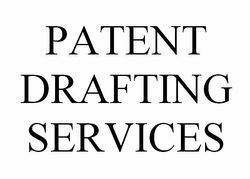 Patent Drafting Service offered is handled by experts who support the demands of safeguarding innovative ideas to enforceable Patents. We provide patent registration services including patent searching, drafting and filing in India. Patent drawings/illustrations play very key role in patent drafting. We offer patent drafting, filing and prosecution services in India. Our drafting and prosecution services are provided by patent agents having strong technology background. Our experience coupled with our robust internal processes enables us to produce high quality patent drafts. We also take up searching and patent drafting services for US, Europe and PCT patents. To obtain a patent for an idea, an application disclosing the idea must be filed with the patent office of the respective jurisdiction in which protection for the idea is sought. We, in collaboration with patent agents, draft patent applications to client’s specifications. Our company has set benchmark by providing Patent Drafting Service to the clients. We provide this service to mitigate the risks of infringement of patents in a particular region. Patent Drafting Service is properly conducted under the visionary guidance of experienced professionals using ultra modern techniques.